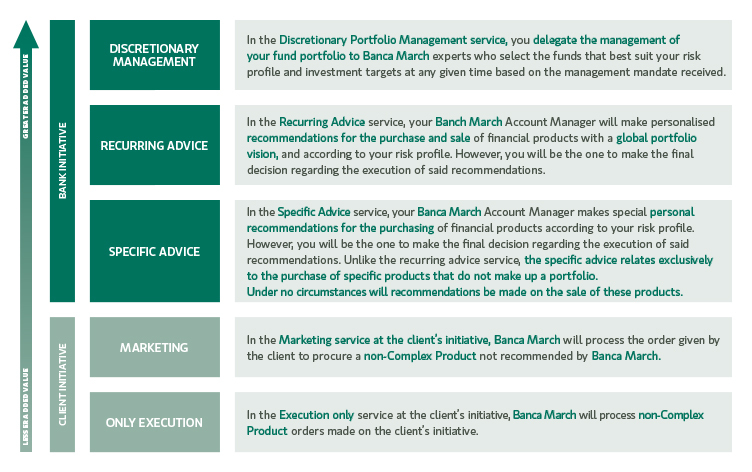 Within the framework of MiFID II, Banca March does not seek to abandon its core values, which are to provide its own products, offering clients the opportunity to jointly invest with the institution (co-investment). 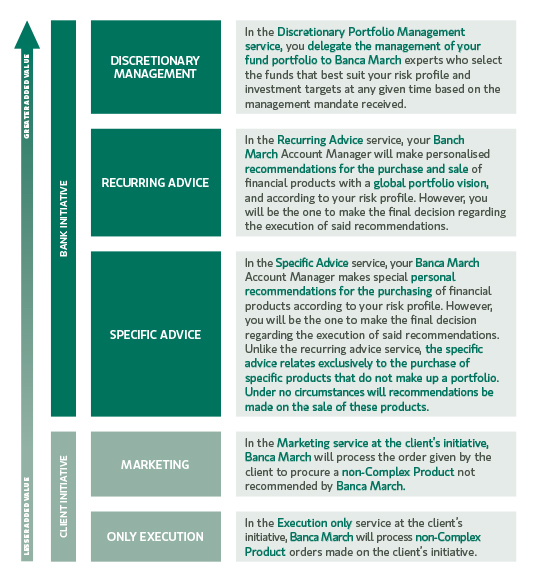 To that end, the institution offers the possibility of collecting twofold: either implicitly through returns on execution and specific consultancy services; or explicitly, in the case of Discretionary Portfolio Management (DPM). Collections are explicit and implicit in continued consultancy. The launch of DPM has been a success and the institution already manages €600 million in DPM. 1. 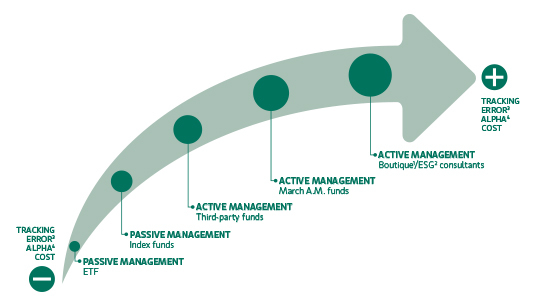 Boutique Managers composed of managers of recognised prestige specialising in the relevant type of asset. Your interests are completely aligned with those of the investor (firm partners; reinvestment of a % of the variable remuneration in the fund). 3. The "tracking error" is a measure in the yield difference between a given fund and its benchmark index, an expression of yield difference volatility. 4. Alpha measures the performance of the manager and your team. 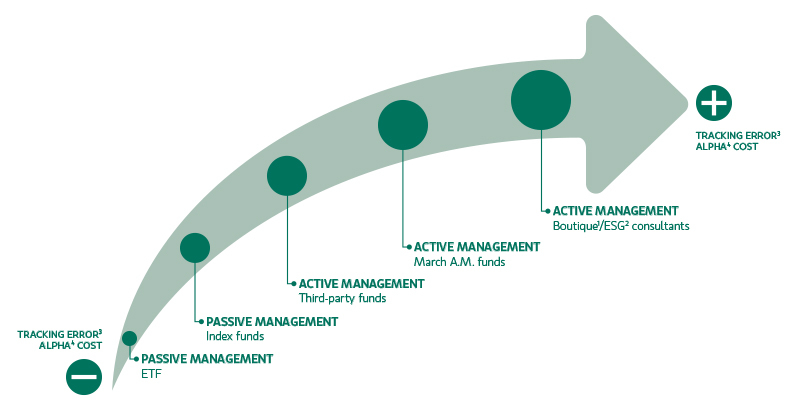 It shows how a better or worse fund behaviour with respect to is benchmark index.